Home / News / Could you Deliver Equalities Services for Tai Pawb? Could you Deliver Equalities Services for Tai Pawb? Tai Pawb is the only charity in Wales with a specific focus on promoting equality and social justice in the housing sector. We are a small dedicated team, with a membership of over 60 organisations across Wales, including local authorities, care providers, voluntary organisations and all Welsh housing associations. We are looking for freelance consultants with expertise in equalities to work as Tai Pawb associates, helping us deliver our member services including training, consultancy, facilitation and quality assessment, particularly in North Wales. 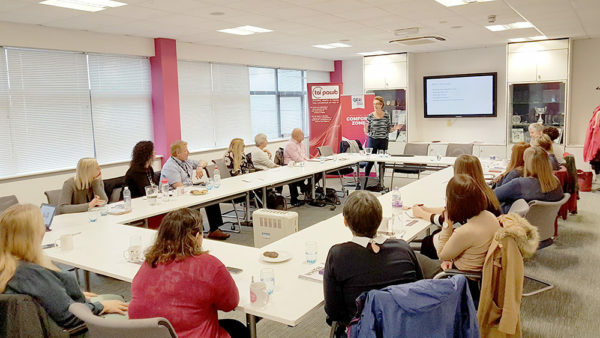 Becoming a Tai Pawb associate will give you access to our resources, support and ready-made training courses and will give you a steady supply of work opportunities in the housing sector to deliver on our behalf. We are interested in working with associates with a wide range of equalities knowledge who could deliver a variety of work for us, as well as those with a specialism who may want to only deliver limited services that relate to a specific topic. We are particularly looking for associates based in North and Mid Wales, including Welsh speakers. We celebrate diversity and difference and it is a requirement that the person appointed demonstrates these values in how they work. If you’re interested in delivering services for Tai Pawb, please send a copy of your CV showing your relevant knowledge, experience and references with a covering letter outlining the types of services you would be interested in delivering. To discuss this opportunity further, please contact Helen Roach, Member Relations Manager, on 029 2053 7635 or helen@taipawb.org. Your covering letter and CV should be submitted to helen@taipawb.org by 23rd November 2018.